in my heart mind I felt like perhaps this relates to his presidency. Sure it looks a mess. 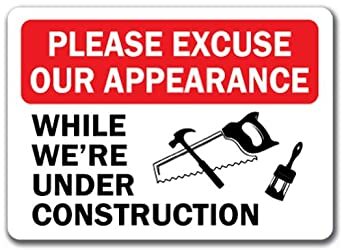 but within due time it will look better..
transitioning into a new presidency is similar to remodeling or constructing a building while it’s being built it doesn’t look particularly good. but the finished product will look good.